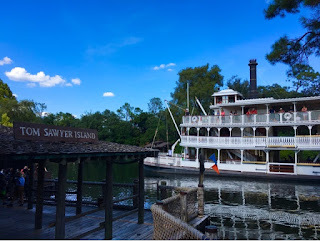 I always look for nice shots of the classic Liberty Belle riverboat. There are many good locations around the Rivers of America for photographs. I took this one a few days ago, while walking by the Tom Sawyer Island dock.